This article is 2578 days old. If you’re looking forward to heading to Beaverfest this Summer, then you need to act soon to get a good deal on tickets. After April 1st, all tickets will go up by 13%. Current online prices are a pre-sale, according to event organizers. The Cult headlines Saturday night along with Puddle of Mudd and Honeymoon Suite. 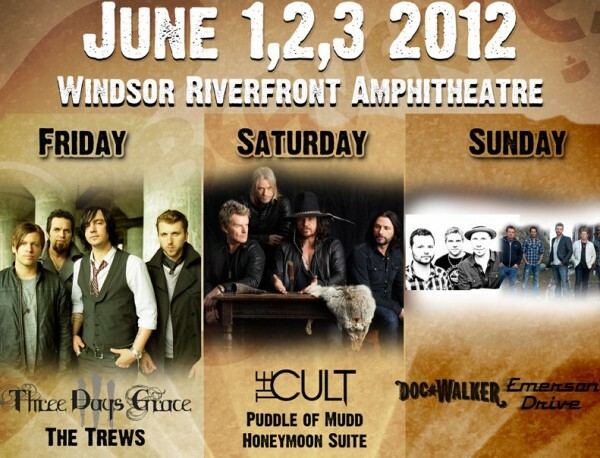 Three Days Grace and The Trews take the stage on Friday while Sunday Emerson Drive and Doc Walker headline country day.